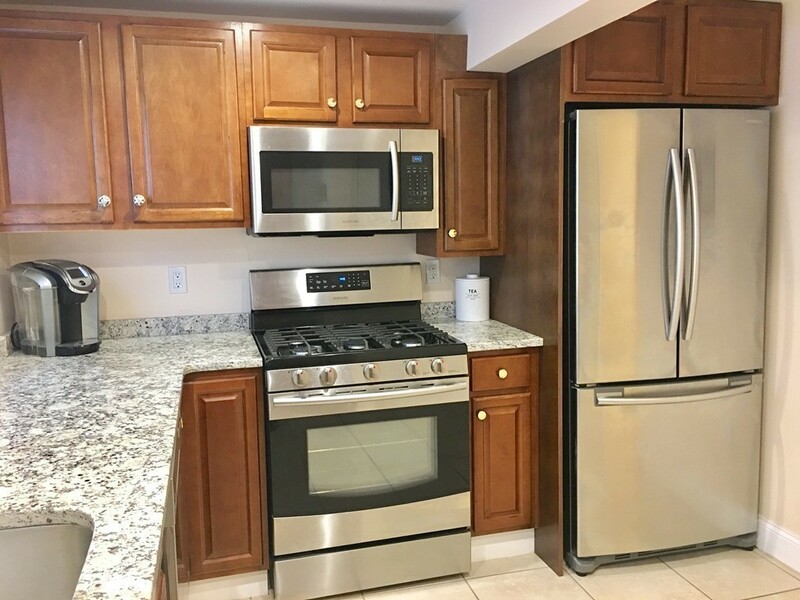 Welcome Home to Danvers!...IMMACULATE 2 Beds/2 Full Bath Condo RENOVATED in 2016 with LOW CONDO FEES!!!... 'LIKE BRAND NEW'...MOVE RIGHT IN to this SUNNY BEAUTIFUL 'GARDEN STYLE' 1st Floor Unit with easy living all on 1 floor...FULLY APPLIANCED Kitchen w/STAINLESS STEEL APPLIANCES & GRANITE COUNTERS...Living Room/Dining Room Combo with Recess Lighting & Wood Laminate Flooring...2 Full Baths w/Granite Vanity & Window in each bath...2 Good Sized Bedrooms with Closets...Laundry Hook-ups in Unit...Extra Storage in Basement & Back Hall...Gas Heat...Central Air...Newer Vinyl Windows...New Back Fence...New Paved Driveway...Off-Street Parking...Convenient to Center of Town, Danvers Rail Trail and Routes 62, 35, 128 & 95... A PLEASURE TO SHOW!! !